Address 326 N. Westminster St.
Info David Loebsack is the Representative for the 2nd District of Iowa in the United States House of Representatives. He is a member of the Democratic party and the Progressive Caucus. Prior to entering Congress, he was a professor of political science. Loebsack was born in Sioux City, Iowa. He graduated from East High School and attended college at Iowa State University. Here, Loebsack earned a master's degree in political science. He then went to California. After receiving a PhD from the University of California, Davis, Loebsack took a job as a political science professor at Cornell College, a small, elite, liberal arts college in Mount Vernon, Iowa. Loebsack started the Linn Phoenix group, a fundraising arm of the Linn County Democrats. The 2006 elections saw a 30-seat Democratic gain in Congress, including picking up a seat in this district. 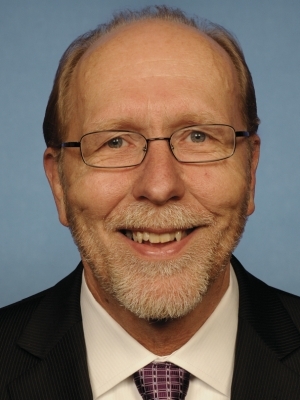 In an upset victory for the Democratic Party, Loebsack defeated Rep. Jim Leach (R-IA), a 15-term moderate Republican who, ironically, was one of only a handful of Republican congressmen who had voted against authorization for the use of force in Iraq. Loebsack entered the Democratic primary as a write-in candidate. In the general election he took 51% of the vote to Leach's 49%. He was sworn into office on January 4th, 2007.